Search this site This page starts with a view of an ex GWR 45xx 2-6-2T 4566 on the Gloucestershire and Warwickshire Railway. 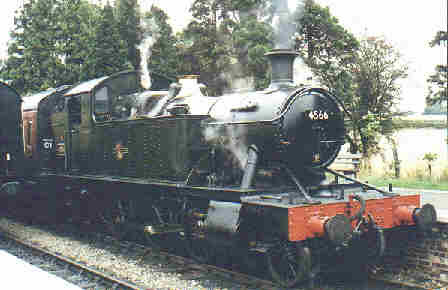 This type of loco was used for local and branch passenger services, several others are preserved including one at Paignton, and two on the West Somerset Railway. To conclude, a selection of photos by Brian Tucker starting with 1450 at Toddington on the Gloucester and Warwickshire Railway. 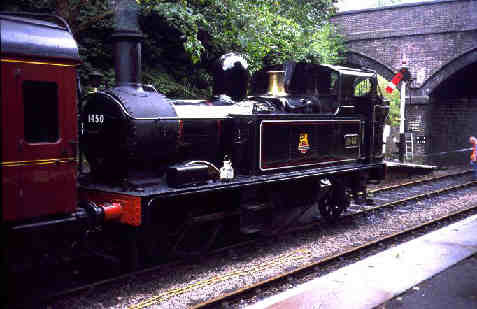 This type of loco worked light branch trains over the old GWR system and several made it into preservation. 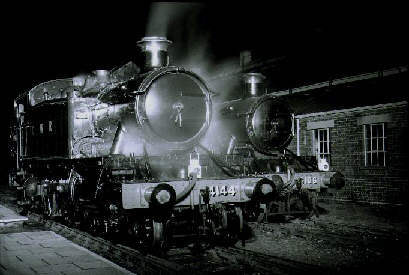 A nocturnal scene at Didcot, the base of the Great Western Society. 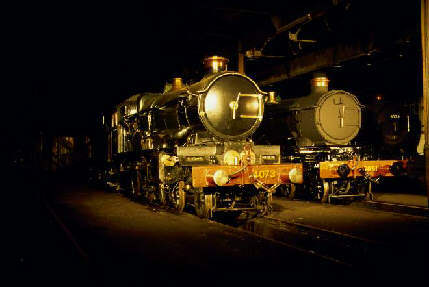 Two Castles, the first of them 4073 Caerphilly Castle and 5051 Earl Bathurst with a King, 6021 King Edward I just visible on the right, a line up of superb steam locomotives. 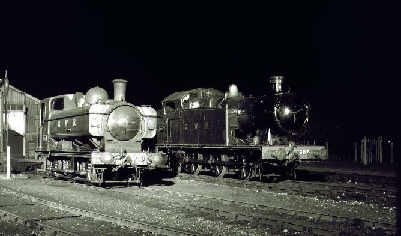 Another night scene at Didcot, this time showing 4144, a 5101 Class loco like 4160 at the WSR alongside 6106 of the 61xx class, a higher boiler pressure version of the 5101 class which were used for suburban services out of London Paddington. 6106 again, this time alongside 4277, a 42xx class 2-8-0T heavy freight tank of a type that was used extensively on coal trains in the Welsh Valleys as well as other short but heavy freight hauls across the GWR system. Didcot has a wide selection of ex GWR locos, on the left of this pair is the archetypal pannier tank, a 57xx from one of the later batches and a 56xx, 6697, a type that was mainly used in the Welsh Valleys on passenger as well as freight services, a few were allocated to other areas for particular requirements. 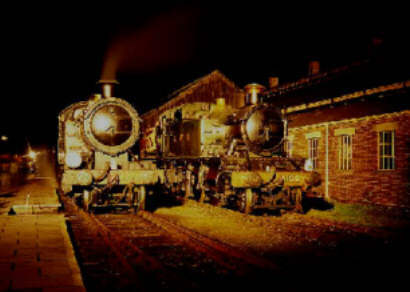 A final view of Didcot at night including 6106, a pannier tank and another ex GW loco, like all of Brian's views on this page it is full of the atmosphere of a bygone age. If you liked these photos you might like to visit his site.